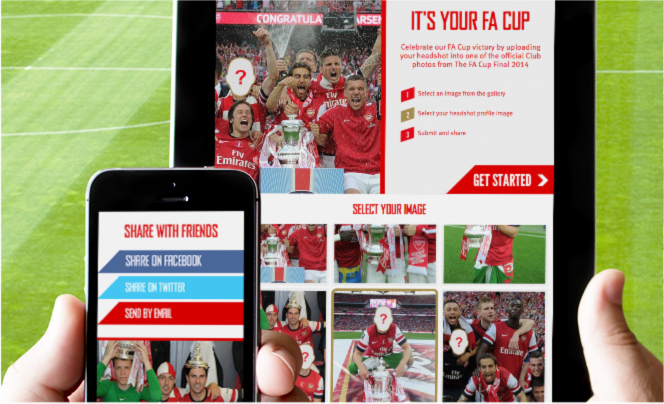 Arsenal reached the FA Cup Final and they wanted to make sure they were ahead of the game; if they won the Final they would have a social campaign ready to go viral when the whistle was blown. 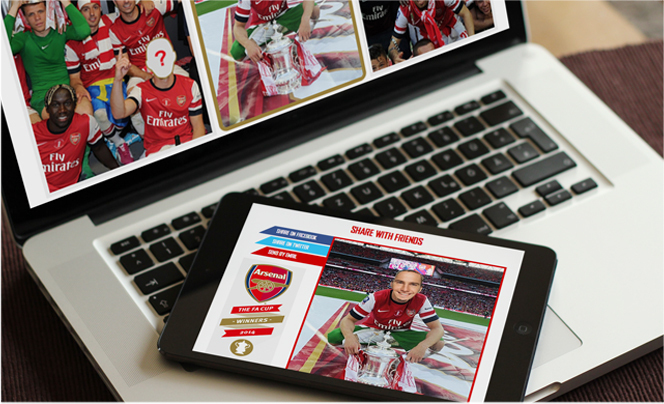 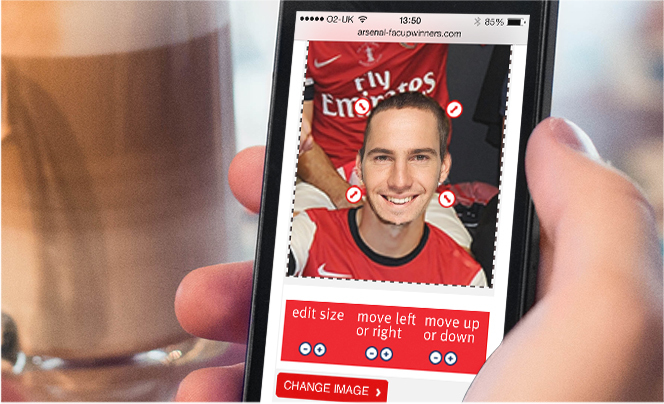 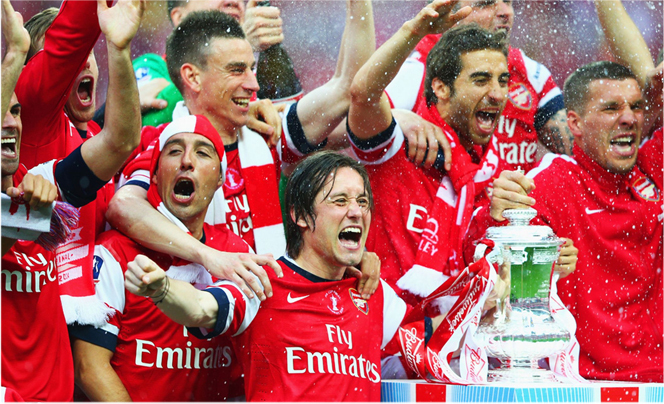 To celebrate the FA Cup Final win, we developed a social application that allowed the fans online to post a picture of themselves celebrating on the pitch with the Arsenal Team. 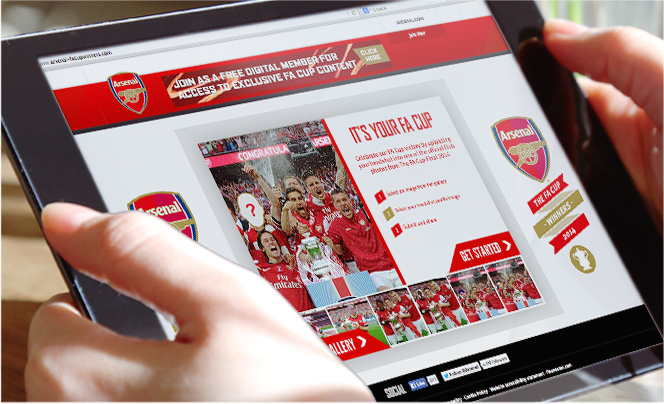 The application was launched within 2 hours.